Up at 6:00 AM for the first Royal job with the Fuji X-Pro2s. 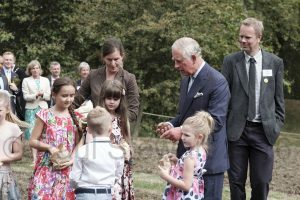 Prince Charles was due to inaugurate a “Coronation Meadow” in Green ark to mark the Queen’s 90th birthday. The idea is that eventually there will be a wild meadow of this type in many boroughs and shires across the country and no one can argue that , wildflowers don’t look beautiful and encourage birds and bees, an all round good thing. 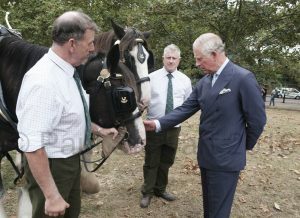 Our friends at the Royal Parks Shires are of course very involved and were there with Roy and Aragon to harrow some of the ground before sowing The Prince was highly impressed with the shires and spent some time talking to Ed McDowell and Tom Nixon about the work the shires do. 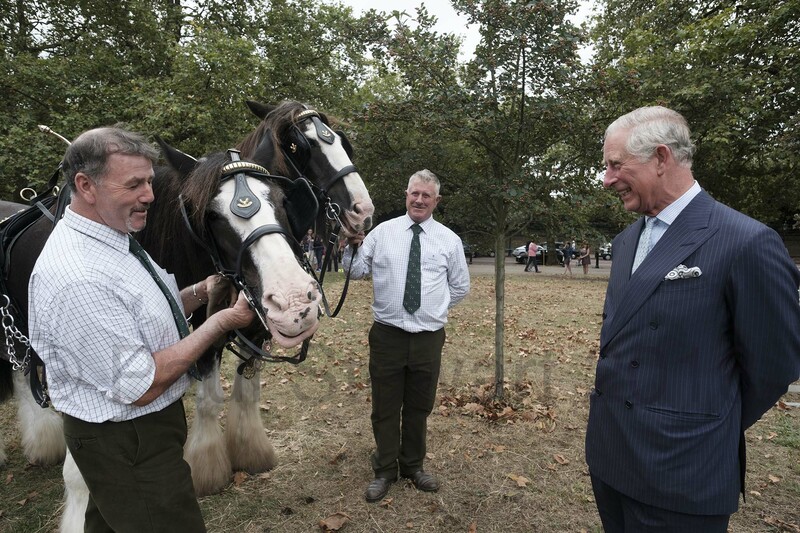 He also said he hoped the role of the shire horses in the Royal parks would increase. was a lot of moving about I had the 16-55 2.8 on one, 50-140 2.8 on another and finally the 14mm 2.8 on the third. All behaved impeccably giving be adequate reach, but allowing me to get “Up close and personal when possible. ” Some of the close up stuff really worked for me and the near silent operation of the mirrorless cameras meant I could shoot without camera noise becoming a distraction. They say never work with children and animals, but both behaved impeccably. HRH went onto the newly harrowed ground and scattered wild flowers seeds with a group of kids and the 50-140 2.8 gave me good reach and and framing, as a 70-210 would have on a full frame camera, but it’s a lot lighter and easier to handle, as are all the Fujifilm X-series components. Stephanie Stewart - a most amazing make up talent!